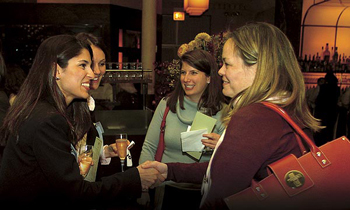 Our holiday event is a spectacular synergy of Women in Technology International and Women's Economic Ventures. Enjoy fantastic food, companionable company and vivacious vendors! Our Holiday Boutique will include vendors from Women's Economic Venture's women-owned businesses as well as delicious food and a crowd of interesting networkers. It's sure to be the most fun you have this holiday season, so join us!